Tom has been interviewing the rest of the Lattice team recently so I thought I’d turn the tables and get him to answer a few questions! 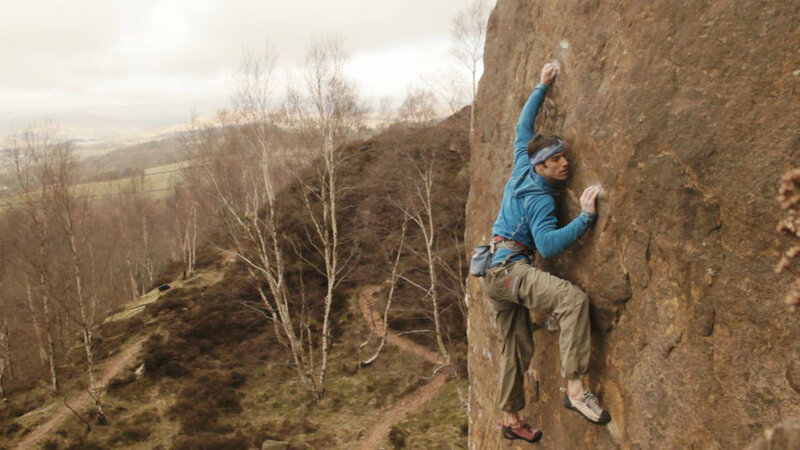 Here’s the stuff that’s already out in the public domain: Tom has been climbing and coaching climbing for quite a few years now. He’s particularly handy on the cracks, with highlights such as Century Crack, 14b (or 8c in european money) and Cobra Crack in Squamish as well as a slew of other hard crack ascents all over the world. Tom also loves a good challenge. That sounds like the start of a motivational speech, but Tom’s ‘challenge’ actually means things like climbing 550 routes in a day or doing the staffordshire nose in 2hrs44. On top of all that Tom also has a few businesses under his wing, including Lattice Training (duh) and Sublime Climbing. I sometimes wonder how he fits it all in…then I receive an email from him at 23:30 on a Friday night and it all makes more sense! Whereabouts did you start climbing? How did you get in to it? I started at school when I was 16/17 when a friend in my class suggested that I enter a small informal climbing competition in our school sportshall. It was basically a really long traverse wall filled with those old school EP holds and because I’d done loads of other sports (I was mainly into athletics and martial arts) I think I did a bit better than expected. It was that initial positive feedback where I felt like I’d done well which encouraged me to then try and it a bit more and weeks, lead into months, into years! Any particularly fond memories of the early days? I’ve been to some of your routes/problems around Somerset and some of them are a little…esoteric! You worked in London for a while, can you tell us a bit about that? 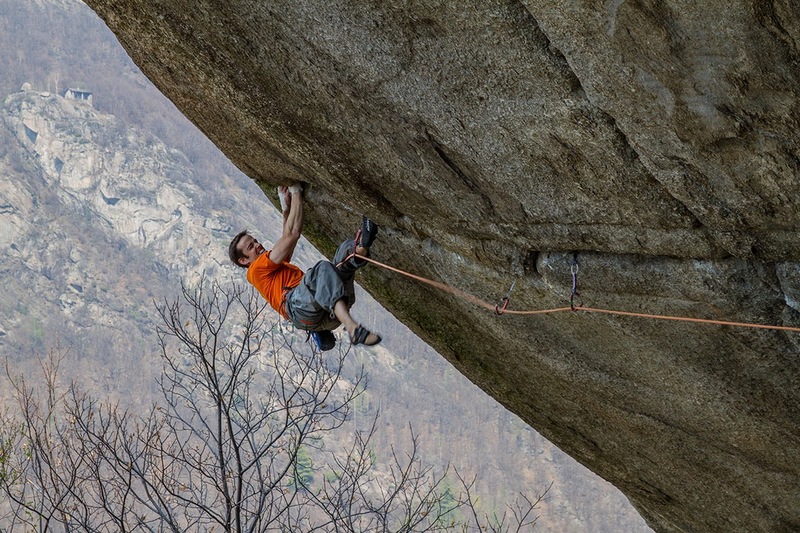 Coming from the city to being a professional coach and climber seems like quite a big jump! Has your experience there influenced your current approach? I was really into numbers and investments and business from a young age (my dad and grandpa were fairly encouraging in this) and I guess I thought that futures trading was the way forwards. In the end it was a fascinating and stimulating job but the environment wasn’t for me. I learnt a lot about quick maths, psychology and basic stats etc. My job in the last year was slowly getting taken over by these black box trading systems and in some ways that’s the approach that I’ve taken with my dream to analyse and manage climbing training. It’s perhaps ironic that the thing that wrecked the profitability of my last job has been the entry in to Lattice Training! You’re pretty well known for your crack climbing but you’re a pretty handy climber in most other styles…what would you say have been a few non-crack highlights for you? What made them special? Maybe the most special (even though the line wasn’t the strongest) was Pure Now at Millstone. I deliberately chose a line that I wasn’t prepared to lead as it was too dangerous and I wanted to see if I could slowly but surely “persuade” my mind and body that it was possible. It was more of a philosophical journey or insight into my own climbing than just a first ascent. It sounds a bit new age, but I really enjoyed the experience. If you had to choose between your personal climbing and coaching climbing which would it be? Tough call as both bring me a lot of satisfaction! In all honestly I kind of go through phases and maybe the real answer is that it waxes and wanes. Right now I’m immensely enjoying growing the Lattice staff team and learning how I can deliver more to the clients whilst growing the business at the same time, but I know once I get to April I’ll be pysched out of my mind for another Norway trip! You’ve been in the coaching business for quite a few years now, where do you think it’s heading? Is training for climbing ever going to be as big as, say, training for cycling? You and Pete [Whittaker, Tom’s long term partner in crime] are stumbling around the White Rim looking for crack projects when you stumble on an enchanted pot of gold. Unusually, the enchantment on this pot of gold means that it can only be used to fund climbing specific research. How would you spend the gold?! Oh crap. Good question!! Hmmmmm….. If I could have an answer to how you train all systems (aerobic, anaerobic, strength, power) concurrently in the most efficient manner I’d be pretty happy. It’s so hard to manage that I’m constantly reading around the subject area. Probably an answer will never be found. When we were on the Lattice Santa Linya trip you were really psyched on the cooking! Any favourite recipes you’d like to share? You smashed out 550 routes in a day with Pete a few years ago, that doesn’t seem like a nice round number though! Have you thought about trying to squeeze in a few more? We have… a preparation summer was done perhaps 2 years ago for 1000 in a day but it got in the way of other projects. Ultimately it remains a bit of a pipe dream. And how could I forget…How’s progress on the Crucifix Project?! Has it entered the realm of possibility yet?! Definitely possible now. Nearly all of the moves have been done and me and Pete have some secret strategies up our sleeves. Going to build a replica in the cellar in the next few months too – soooooo psyched! !